As DHS Ends TPS for Haiti, a Pattern Emerges. What Comes Next? The Department of Homeland Security (DHS) announced last week that it would be ending Temporary Protected Status (TPS) for Haiti. 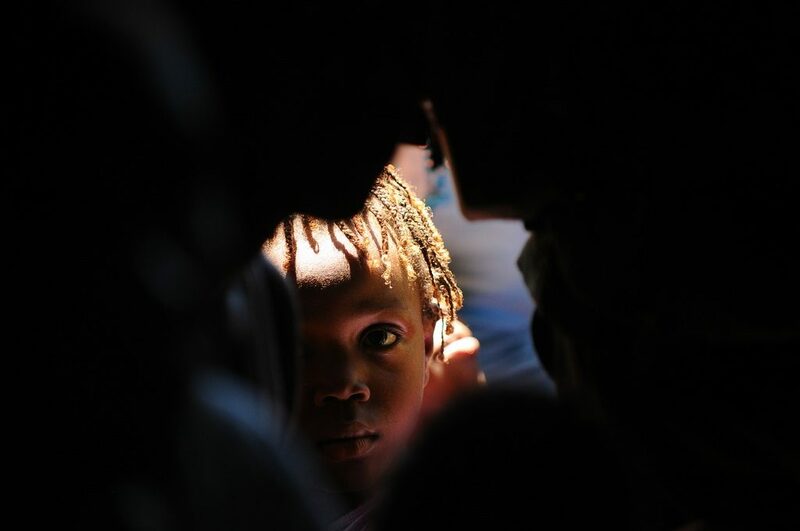 50,000 Haitians, along with hundreds of thousands of nationals from other countries, now face an uncertain future which could result in deportation to a country struggling to recover from an onslaught of environmental challenges. It is hard to overlook the pattern emerging from the Trump administration of ending programs that, taken together, enabled over a million people to live their lives without fear of deportation and support themselves and their families by working lawfully. The Haiti decision marks the third termination of TPS in the past three months, following decisions to terminate TPS designations for thousands of Sudanese and Nicaraguans. These decisions also came on the heels of the decision to end the Deferred Action for Childhood Arrivals (DACA) initiative, which benefited nearly 800,000 undocumented young people who came to the United States as children. All things considered, Acting Homeland Security Secretary Elaine Duke’s decision to end TPS for Haiti stands out in particular because she limited herself to only looking at whether Haiti is still struggling to recover from the catastrophic earthquake, rather than looking at how those efforts have been complicated and aggravated by later disasters. These catastrophes included the cholera epidemic that sickened 800,000, Hurricane Matthew that wiped out hundreds of thousands of homes in 2016, and acute food shortages impacting two million people. Duke also did not consider the damages caused by Hurricanes Irma and Maria when they struck portions of Haiti in September 2017. Her approach stood in stark contrast to how her predecessor, then-Secretary John Kelly, decided to extend TPS for Haiti just six months ago, citing extensive conditions in Haiti that continued to merit designation. The only bright side of this most recent decision was that DHS took the unprecedented step of delaying the effective date of the TPS termination for 18 months until July 2019. Notably, U.S. Citizenship and Immigration Services (USCIS) is yet to publish the legally-mandated Federal Register Notices that explain these decisions and provide instructions for renewing one’s status and work permits. Never before this administration have we seen these kinds of unwarranted delays that cause completely avoidable anxiety and panic for TPS holders, their families, and their employers. It took USCIS five weeks to finalize the Notice for Sudan back in September, and while TPS decisions were announced for Nicaragua and Honduras on Nov. 6, still no Notice has been published 24 days later. The Notice for Haiti is 10 days overdue and the clock is ticking. In less than six weeks, DHS will need to make its next TPS decision—this time for nearly 200,000 nationals of El Salvador, most of whom have lived in the United States for over twenty years. El Salvadoran TPS holders have been regularly vetted by DHS since they first received TPS in 2001, carry a significant share of home mortgages, and will be put at risk of being separated from their 193,000 U.S.-born children. It’s uncertain what the decision will be, despite the fact that for 2015 and 2016 El Salvador had the highest rate of homicides per capita of anywhere in the world. If the pattern of TPS terminations continues, pressure will continue to mount for Congress to act. In recent weeks, three House bills and one Senate bill have been introduced that would provide a more lasting legislative fix for hundreds of thousands of TPS holders who have long-standing ties to the United States. These efforts signal growing bipartisan support to protect these people from deportation and a hopeful end to this pattern of removing large communities of people who have called the United States home for many years.